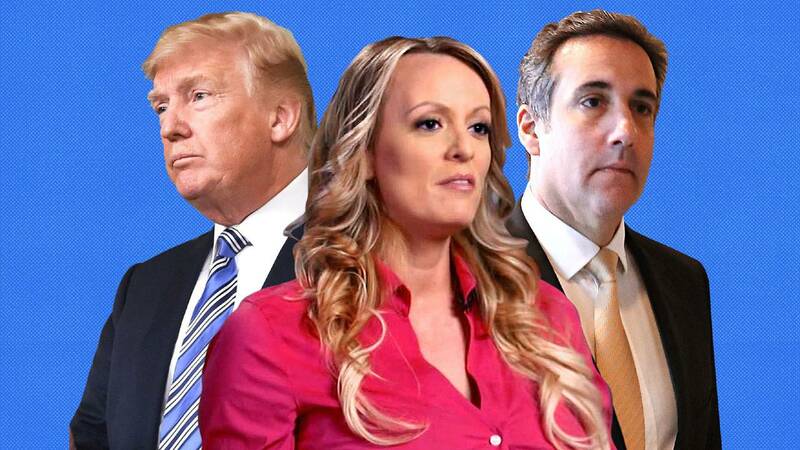 WASHINGTON (CNN) - President Donald Trump was personally involved in an effort to prevent adult film actress Stormy Daniels from publicly discussing an alleged sexual encounter with him, a source with direct knowledge of the matter told CNN. The President told his then-personal attorney Michael Cohen in a February phone call to seek a restraining order against Daniels over concerns that she was contemplating a media interview, the source said. "Don't worry, I'll pay for everything," Trump told Cohen, according to the source. The conversation happened months after Daniels had signed a hush agreement to stay quiet about the alleged affair. The Wall Street Journal first reported Trump's involvement. The source said the President's son, Eric Trump, became involved and that a California-based Trump Organization lawyer, Jill Martin, was directed to sign the arbitration document. Martin sought Eric Trump's advice when the media eventually posed questions to her about her involvement, the source added. Martin told the media that she worked on the arbitration in her "individual capacity." "The Trump Organization is not representing anyone and, with the exception of one of its California-based attorneys in her individual capacity facilitating the initial filing ... the company has had no involvement in the matter," Martin said in a statement to CNN at the time. At the end of February, an arbitrator privately issued a restraining order against Daniels, who ignored it and would go on to do an interview with CBS' "60 Minutes." Trump has shifted his story about his knowledge of the $130,000 payment to Daniels. After Cohen acknowledged in February he had paid Daniels with his "own personal funds," Trump in April denied knowing about the transaction. However, the President's attorney Rudy Giuliani told Fox News in May that Trump had reimbursed Cohen for the payment. In August, Trump told Fox News he did not know about the payment to Daniels until "later on," after Cohen had paid the money, and that he had reimbursed Cohen with his own money -- not with campaign funds.